Egyptian artifacts recovered — but from where? A detailed shot of the recovered Harpocrates (JE 67925). 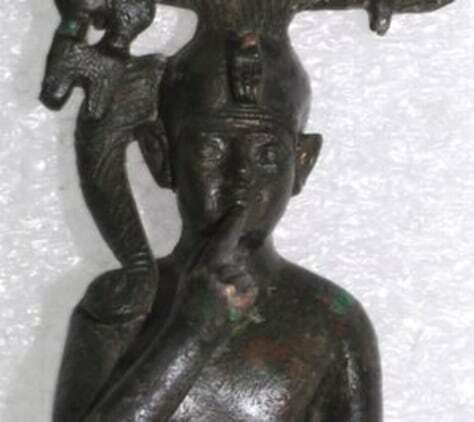 Known in Egyptian mythology as Horus, the child of Isis and Osiris, the deity is shown with his finger in his mouth. It was a symbol of childhood, but the Greeks who conquered Egypt under Alexander the Great misinterpreted it and adopted him as Harpocrates, god of silence and secrecy.